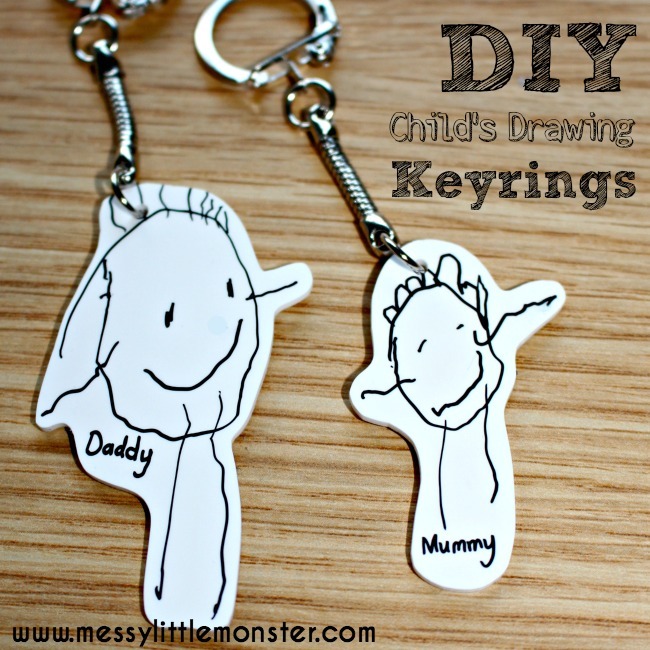 Make a DIY keyring from your child's drawing using Shrinky Dinks. 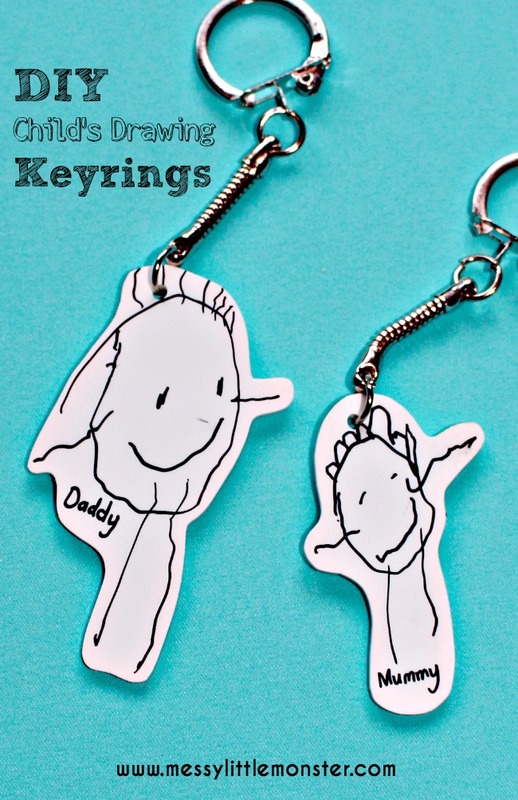 A keychain made using your child's first drawings would make a memorable keepsake. 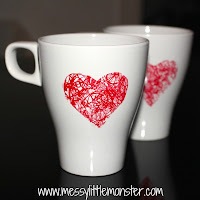 Alternatively kids could make them as gifts for Mothers Day, Fathers Day or Christmas. Its so much fun seeing the pictures shrink in the oven. 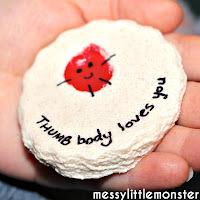 I remember enjoying using Shrinky Dinks as a child! 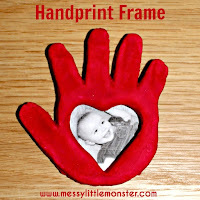 If you are looking for a gift or keepsake idea you might also like our DIY heart mugs or salt dough handprint frames. 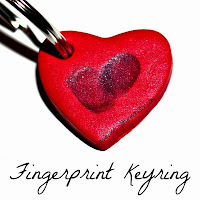 For younger children our fingerprint keyring makes a perfect keepsakes as does our fingerprint canvas with poem. You will also need a hole punch and access to an oven. 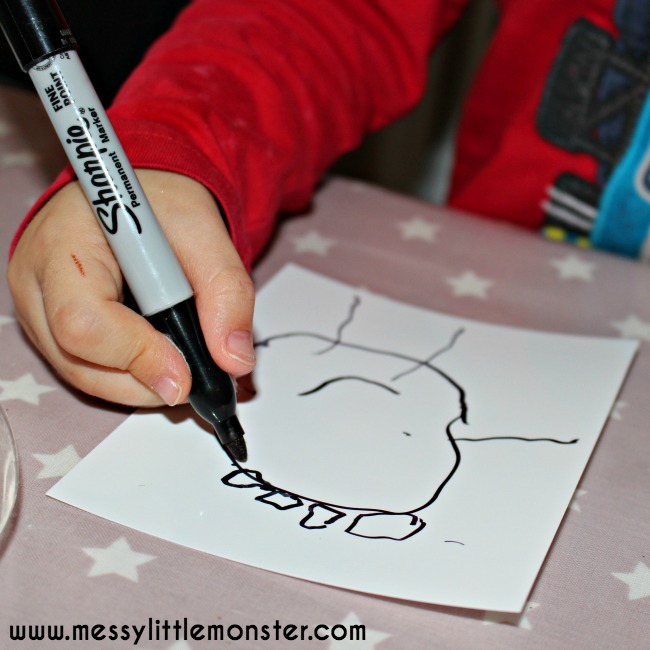 Draw a picture onto white shrink plastic. Harry drew portraits of each member of the family. I labelled each person. 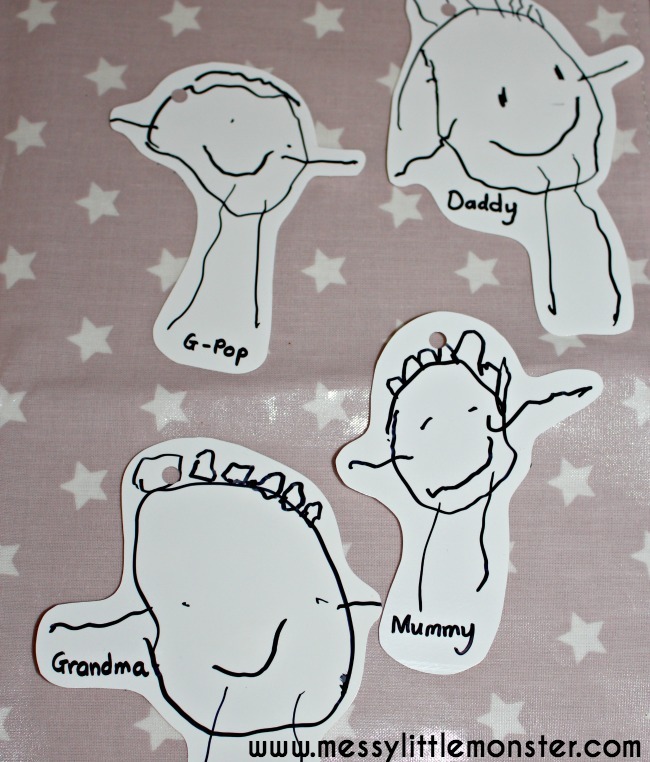 As these are some of Harry's first 'real' drawings these keyring's will make memorable keepsakes. 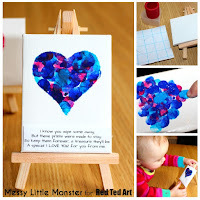 Cut out the images and use a hole punch to make hole at the top of your child's drawing. Bake your child drawing by following the instructions on your packet of white shrink plastic. Its so much fun to see the pictures shrink! 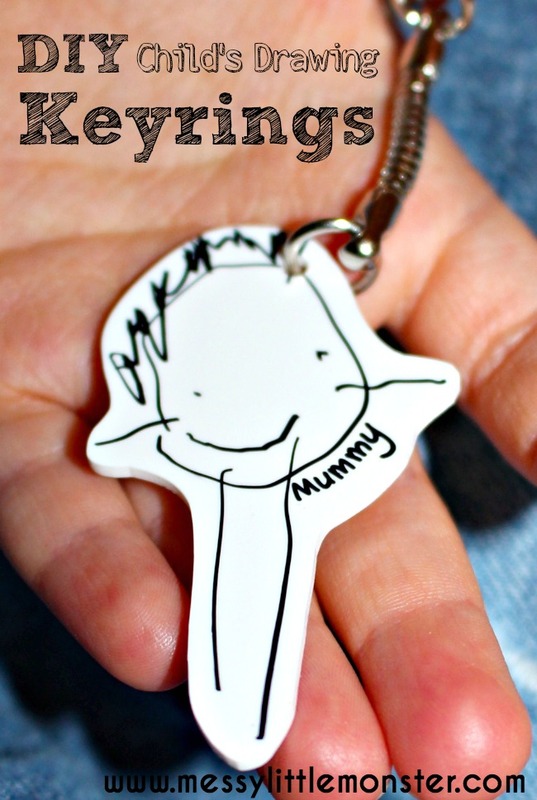 Add a keychain and your Shrinky Dinks keyring is complete. 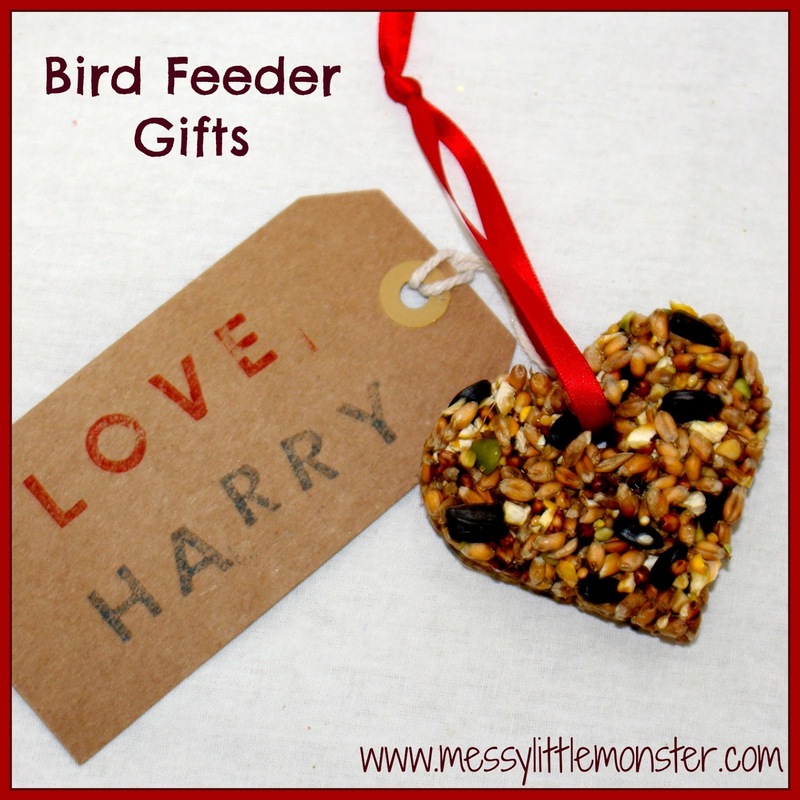 These personalised keychains would be perfect for your child to make and give out as gifts for Mothers Day, Fathers Day, Christmas or a Birthday. I will treasure mine as its one of the first pictures that Harry drew of me.